If you're looking for a hearty, satisfying breakfast, it's hard to do better than an omelet. Fluffy eggs are the perfect vehicle for all of your favorite toppings. From a classic omelet with just egg and cheese to a gourmet breakfast full of fresh crab, these are the 10 best places in Mississippi to get an omelet! Another Broken Egg Cafe is a bright, welcoming restaurant with plenty of selections to crush your omelet craving. You'll find everything from a lobster & brie-filled creation to Stan's Mardi Gras Omelette with shrimp, crawfish, andouille, and more. All of the omelets are served with grits or potatoes and an English muffin. Is there anywhere better for breakfast than a soul food restaurant? Heart & Soul Diner is a popular spot in Brandon for elevated soul food, and their breakfast menu is impressive. Although choosing from their impressive omelet selection will be difficult, the Heart and Soul is stuffed with hash browns, making it a whole breakfast in itself. Louie and the Redhead Lady is new to the Gulfport area, but the owner, Chef Louie Finnian, has been involved in the culinary scene for over 40 years. The original restaurant was featured on Diners, Drive-Ins, and Dives. The food is all Southern comfort, making it a perfect breakfast stop. Choose from a ham & cheese or crab meat omelet, or build your own. At the Cast Iron Cafe in Vancleave, the omelets are cooked in well-seasoned cast iron and served in the kind of small-town digs where everyone's a regular. There are plenty of choices to fit every taste, but if you're hungry go for the Big Cast Iron Omelet. Be sure to add on an order of their famous chicken-fried bacon! Crossroads Cafe in Ridgeland is all about healthy, organic foods that taste great. Their omelets are made from free range organic eggs, so you can feel good about what you're eating. The Crossroads Omelette is one of the most popular. It's packed with veggies, including alfalfa sprouts, spinach, shredded carrots, and celery. The past few years have seen Hattiesburg racing to the forefront of the culinary scene in Mississippi. South Mouth Deli is a gourmet sandwich shop which embodies this excitement about great food. Their breakfast menu is a mix of tradition and innovation, and the omelets range from the Plain Jane (meat and cheese) to the Uptown, with shrimp, andouille, and Havarti cheese. The Bayview Gourmet is a charming restaurant that has been serving the Coast for 29 years. The building is full of local art that makes you feel at home as soon as you walk in. Omelet options range from veggies and seafood to the protein omelet, packed with chicken, turkey sausage, cheese, and spinach. The Neighborhood Grill is the kind of old-style diner most people picture when they think about going out to breakfast. The staff is friendly, the options are classic and simple, and the portions are hearty. The omelet choices are plain cheese, your choice of meat plus cheese, veggie, or Western—and there's really no wrong choice here! The Ranch House is a homey diner in Columbus where the locals go for breakfast. The service is great, the food is delicious, and the atmosphere is welcoming. 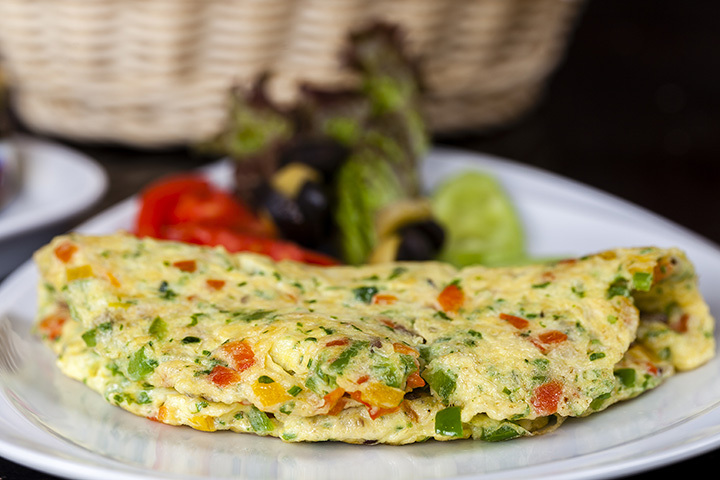 There's a buffet during lunch hours, but for breakfast, order an omelet from the menu! Shockley's is a Tupelo institution, and it's the place to go for breakfast if you're in the area. The small brick building might not look like much, but it's the kind of home-cooked meal you just don't find everywhere these days. You'll love the fluffy omelets, but do yourself a favor and add a waffle on to your order.